You’re in the right place if you want the way you study God’s Word to be transformed. 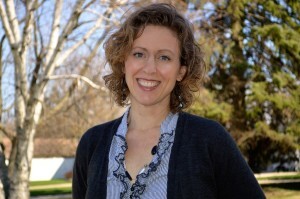 With enthusiasm and realism, Natalie Eastman coaches women in learning to discern answers to their biggest life questions by interpreting the Bible using the same strategies and techniques as seminarians use, even if you will not have an opportunity to attend seminary or theology school. If you want mind-blowing Bible study and if you want to be able to interpret and understand God’s Word for yourself – without always needing to depend upon someone else to interpret it for you and explain it to you – then you, too, are in the right place! Resuscitate your personal Bible study! Bring your Bible teaching to life! Engage God’s Word at the deepest levels, and bring others with you in the process! Engage through one of the power-packed telesummits or through a group coaching experience, walking through the system hand-in-hand with a community of committed thinking Christian women! Check out the articles – fully downloadable – and helps. You can start developing right away. But first, be sure to grab your excerpt of Women, Leadership, and the Bible by clicking the button in the box below!